“Extraordinary Jubilee of Mercy”, a collection of sacred pieces, much like a “sound vault”, illustrates the concept of sacred music in its broadest meaning through different types of frescoes. Not only as liturgical music for traditional sacred worship, but also as a collection of pieces that were not originally intended for this use. This collection is able to show periods, forms, styles and authors in an ideal combination of sacred matter that is confessional, metaphysical and transcendent. Arvo Pärt (b Paide, 11 Sept 1935). Estonian composer. He studied at the music middle school in Tallinn under Harri Otsa and Tormis and then at the Tallinn Conservatory under Eller, from whose class he graduated in 1963. While still a student he found work as a recording engineer with Estonian radio, and as a composer of film and theatre music. He continued to support himself with such work during much of his early career. Cristian Carrara (Pordenone, 1977) is considered one of the most original composers of his generation. He writes mainly symphonic and chamber music, but also works for the musical theater and television. The criticism acknowledges its productions as “highly focused and balanced, and full of gently harmonic texture,” but “big in the creative intent for which the whole context is manifested very solid and clear,” able to reveal, beyond the curtain of a music apparently ‘simple’, the terrible question on adverse outcomes of what is proclaimed well, that is what the war, any war, entails” (Claudio Strinati). “His music is close to the heart, it is clear but not simple, is straightforward but speak a language full of mystery: that of poetry.” (Elena Formica) His music is performed in prestigious halls, the Academy of Santa Cecilia in Rome, the Berliner Hall, the Maggio Musicale Fiorentino up to the Auditorium Binyanei Hauma of Jerusalem. “It’s an author who has a great ease of writing” (Giorgio Battistelli). His happy relationship with the public is well described by the American critic Rob Haskins: “I know it’s the music I want to share and listen to over and over again”. “Unlike so much today music, his crypticism is not in writing, but in the difficulty to organize and to make the most possible clear his compositional thought, as happens in the Verdi’s music, that has a minimum semiotic charge, but an extremely violent semantic charge”. (Flavio Emilio Scogna). He join works with important Italian and international artists, including: Flavio Emilio Scogna, Omer Meir Wellber, Paolo Olmi, Nicola Paszkowski, Michalis Economou, Jan Latham Koenig, Lior Shambadal, Alda Caiello, Roberto Abbondanza, Roberto Prosseda, Floraleda Sacchi, Francesco D’Orazio, Francesca Dego, et al., and his music are performed by renowned ensembles and orchestras, including: the Filarmonica Toscanini di Parma, Orchestra Regionale della Toscana, Orchestra del Maggio Musicale Fiorentino, L’Orchestra del Teatro Lirico di Cagliari, Qatar Symphony Orchestra, Berliner Symphoniker, the Ra’anana Symphonet, etc. Among his plays are the works: La piccola vedetta lombarda [The small lookout Lombard], Oliver Twist, Alto sui pedali [High on the pedals] and Il giocatore. Canzone dei luoghi comuni [The player. Song of the commons]. In the catalog symphonic: Magnificat, Meditation for pedal piano and orchestra (commissioned by Emilia Romagna Festival), Destinazione del sangue [Destination of blood], Liber Mundi, Tales from the underground, Ondanomala (commission Teatro Lirico di Trieste), Vivaldi In memoriam (commission Maggio Musicale Fiorentino). As for the chamber music among the most frequently performed work must be reported: Luce [Light], Pater, Bianco [White], Ludus and the collection of piano pieces A piano diary. In the rich discography, published in monographic CDs with labels like Tactus, Amadeus Art, Arts/Tosca, Incipit, New Stradivarius, Curci, he reflects the focus on a compositional inspiration fueled by multiple levels of cultural investigation, able to explore both the great themes of man’s path (Liber Mundi, 2012) as the miniature of self-gift (A piano diary, 2011) how much the commingling o genres (Ludus, 2013). Author and presenter of television broadcasts of divulging music, he is founder and artistic director of the series of recordings of “Arts Solidarity” promoted by Curci, Feltrinelli / Ricordi Media Store and by the ACLI National. Cristian Carrara graduated from the Conservatory of Udine. Already artistic consultant to the superintendent at Teatro Lirico di Trieste, is Chairman of the Culture Committee of the Regione Lazio. Flavio Emilio Scogna was culturally and musically formed in the cities of Genoa, Bologna and Rome where he studied conducting and composition. He achieved his degree in Music at the University of Bologna. In 1982/83 he studied conducting with Franco Ferrara and from 1984 to 1988 he collaborated with Luciano Berio. 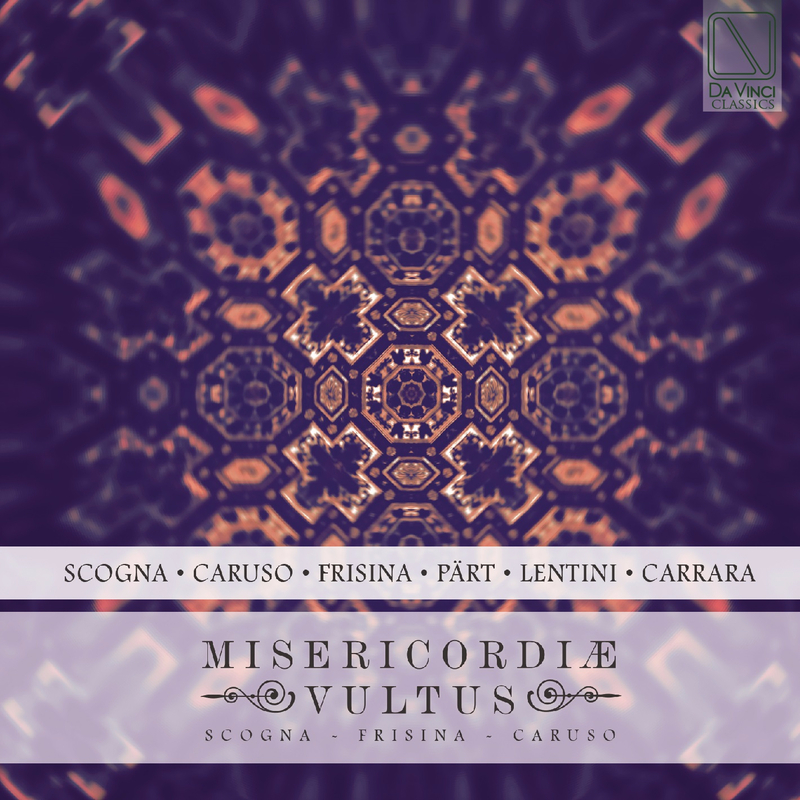 Scogna’s works are performed in the most prestigious places (Accademia Nazionale di S.Cecilia, Teatro Comunale di Firenze, Centre Pompidou in Paris, Konzerthaus in Vienna, Auditorium Nacional in Madrid, Teatro dell’Opera di Roma) and they are recorded on RCA, BMG Ariola as well as broadcasted by the major European radios and televisions (RAI, BBC, RNE, BRT, Radio France amongst the others). In 1998 he represented the RAI television network at the Prix Italia, with the radio work “L’Arpa Magica” based on a text by E. Sanguinetti. He has given lectures and seminars regarding his own compositions, in Europe and in several colleges in the United States. In October 2002 Flavio Emilio Scogna successfully conducted “La memoria perduta” (directed by Pier-Alli), work commissioned by the Rome Opera House. Besides being a composer, from 1990 he is an international acclaimed Orchestra Conductor both in the classical and operatic repertoire (He has revalued important classics and has often edited them personally, such as Pergolesi, Boccherini and Rossini), in the twentieth century and contemporary repertoire with a very large number of premieres (he is now considered one of the most popular conductors between tha major living composers) and in the historic twentieth century (Satie and Rota, for whom he pressed the first global record of the work “I due timidi”). He directed some of the most important international symphonic orchestras such as the Kiev Philharmonic Orchestra, the Rai Symphonic Orchestra, the RTVE Symphony Orchestra, the Rome Opera House Orchestra, the Hungarian State Symphonic Orchestra, the Raanana Sinfonietta of Israel, the Icelandic Symphonic Orchestra, the Orchestre Philharmonique de Nice, the Orchestre Symphonique et Lyrique de Nancy, the Pomeriggi Musicali di Milano Orchestra, the Sicilian Symphonic Orchestra, the Filarmonica Toscanini Orchestra and the National Academy Orchestra of Santa Cecilia, as well as internationally acclaimed ensembles such as Alternance in Paris, The Accademia Bizantina, Circulo in Madrid and the Ensemble Strumentale Scaligero. In 1995 he directed the opening concert for the celebration of the centenary of the International Music Festival of the Biennale di Venezia. From 1999 he conducts the Cantelli Orchestra and the Symphonic Orchestra of Italy in Milan for the concerts of the music festival NovecentoMusica with Luigi Pestalozza as artistic director. Flavio Emilio Scogna’s discography is very rich and comprises recordings for BMG (RCA Red Seal), Brilliant Classic, Curci, RicordiMediastore, FonitCetra, Dynamic, Tactus and Bongiovanni. His CD recording of Schnittke’s works (Dymanic S 2030) gained the highest rating (10) given by the magazine Répertoire in the year 2000. From 2006 to 2009 he is conductor of the Ensemble Contemporaneo of the National Academy of Santa Cecilia and in 2009 he is Principal Conductor of the Bari’s Symphony Orchestra. In 2013 he received the Vittorio De Sica award (Premio De Sica) for Classical Music, award bestowed also to Abbado, Berio and Muti in the past years. Guitarist, composer, conductor. He studied as pianist and composer. He graduated in classical guitar (1988). Since 1990 he has expanded his repertoire, studying renaissance and baroque lute, vocal technique and choral and orchestral conducting. He completed his studies of orchestral conducting at the Accademia Musicale Pescarese with Gilberto Serembe and Donato Renzetti. As guitarist, conductor, composer, producer and lutenist he made several recordings for the labels Brilliant Classics, Piano Classics, Da Vinci, Tactus, Stradivarius, Melba Records, Arcophon and for Italian Radio Rai. Giovanni founded several choral and instrumental ensembles. He directs the Vocal Ensemble ‘Flos florum’, with repertoire ranging from Flemish polyphony to contemporary. He was awarded first prize in classical guitar at the April Spring Festival in Pyongyang (North Corea) and the P.Taraffo Competition in Genoa. Giovanni wrote music for various film productions (cinema and television), for commercials, for ancient and modern instruments, for choir and orchestra. He was recently awarded the ‘Premio Musica Jean Coste’ as a Roman talented musician. Stefano Lentini: born in Italy in 1974, Stefano Lentini studied Anthropology and Ethnomusicology at the University of Rome. His first instrument was the guitar, built by his grandfather with the doors of an antique wardrobe. Ever since he was young he dedicated himself to the composition. A multi-instrumentalist, Lentini is known for his use of non-conventional tunes on guitar, but also plays electric bass, piano, renaissance lute, flutes, drums and several other instruments, often playing all of these on his soundtracks through the use of multi-track recording. He is considered part of the cross-chamber music, but his influences are very broad. Lentini’ music often has spiritual themes, and many songs draw inspiration from real stories. He scored films from Italy, France, US, UK, Australia, Brazil, Ukraine, Hong Kong. He is especially interested in non-conventional scoring. He has just provided it with his Stabat Mater, as seen in Wong Kar Wai’s “The Grandmaster”, two Academy Awards nominee. Salza, Nello (Trumpetist). The Oscar prizes to the composers Ennio Morricone for “The Hateful Eights” and to Nicola Piovani for “La Vita è bella”, appointed Nello Salza as “The trumpet of the Italian Cinema” as critics acclaimed him for his thirty year activity as interpreter of many unforgettable themes, many times composed for him, by the most celebrated composers of Cinema an TV. Since 1984 he recorded over 400 soundtracks as soloist trumpet for the composers E. Morricone, N. Piovani, A. Trovajoli, R. Ortolani, P. Piccioni, L. Bacalov, R. Pregadio, B. Conti, F. De Masi, F. Piersanti, S. Cipriani, A. North, R. Serio, A. Di Pofi, B. Zambrini, F. Carpi in films like “La Vita è Bella”, “L’intervista”, “ La voce della Luna”, “ C’era una volta in America”, “La Leggenda del Pianista sull’ Oceano”,”Nuovo Cinema Paradiso”, “La Famiglia”, “La Piovra”, “IL Postino”,”Cuore”, “Pinocchio”, “Il Caimano”, “La Sindrome di Stendhal”, “Gli Intoccabili”, “Il Marchese del Grillo” and in the Quentin Tarantino’s masterpiece “the hateful eights”. He had been also principal soloist trumpet for Teatro dell’Opera di Roma, were he worked with conductors likeG.L. Gelmetti, F. Mannino, N. Santi, G. Ferro, G. Patanè, D. Oren, Y. Ahronovitch, G. Kuhn, J. Tate, J. Nelson, B. Bartoletti, G. Bertini, M. Armiliato, Z. Pesko, D. Renzetti, W. Humburg, G.L. Zampieri; He also played in this role for Teatro S.Carlo di Napoli, l’Accademia Nazionale di Santa Cecilia, l’Orchestra regionale Toscana e l’Orchestra Sinfonica Nazionale della RAI. With Accademia Nazionale di Santa Cecilia he toured worldwide with conductors like L. Bernstein, L. Maazel, G. Pretre, W. Sawallisch, D. Gatti, G. Sinopoli,C. Thielemann. He also collaborated with numerous important institutions like Gran Teatro “La Fenice” di Venezia, Orchestra da Camere Italiana (Dir. S. Accardo), Orchestra Regionale Toscana, Orchestra “A. Toscanini” di Parma, Solisti Aquilani, Orchestra Sinfonica Abruzzese, Unione Musicisti di Roma, AMIT- Accademia Musicale Italiana, Orchestra G. Cantelli, Orchestra Internazionale d’Italia, Teatro Massimo di Palermo, Orchestra Sinfonica di Roma. Guest in many Italian TV programs, had recorded many CD’s as solist ranging from classical to pop and movies OST. Winner of many competitions, he also won two National competitions for teaching in the Italian Conservatories. Many collaborations with with artists such S. Accardo, U. Ughi, L. Pavarotti, J. Carreras, P. Domingo, K. Ricciarelli, A. Bocelli, D. Modugno, Mina, C. Baglioni, A. Stewart, Zucchero, M. Nava, M.Gazzè. As a Yamaha artist he projected and signatured two trumpets (Bb and C). Nello was born in Sutri (Viterbo) and studied under Leonardo Nicosia and Biagio Bartiloro. Abbondanza, Roberto (Baritone) was born in Rome, where he studied vocal technique with the soprano Isabel Gentile. He was very young when hired in RAI Choir of Rome and eventually in S. Cecilia’s National Academy. He took part in the opera movie “Rigoletto” directed by Jean-Pierre Ponnelle, a fundamental meeting for his successive artistic career. He then specialized at the Salzburg Mozarteum and the Musikhochschule of Köln with Hartmut Höll, thus pursuing his interest for the Lieder Repertoire. Initially he focused on the study of the Classical Opera Repertoire, though he had been always keeping in great consideration the Ancient Music’s one as well. He is finalist in the “Toti Dal Monte” Competition in Treviso and in the “Sperimentale” in Spoleto, and was the winner of both the “Laboratorio Lirico” Competion in Alessandria and “L’Accademia Barocca” in Rome. In the ancient and Baroque Repertoire he constantly cooperates with Fabio Biondi and EUROPA GALANTE (the recording of Scarlatti’s Caino awarded with Diapason d’or; premiere execution and recording by Virgin of Scarlatti’s SS. Trinità; staging of Scarlatti’s works by Massimo Puppieno; Il trionfo dell’onore (ABBIATI PRIZE 2001); La Principessa fedele e Carlo Re d’Alemagna at the Teatro Massimo of Palermo; execution of Vivaldi’s La Senna festeggiante at the Théatre des Champs-Elysées in Paris, Haendel’s Lucio Silla at S. Cecilia’s National Academy, Cavalli’s Dido at the Fenice in Venice and at the Carignano of Tourin, Haendel’s Messiah in Madrid, Valencia and Barcelona) and with Rinaldo Alessandrini and CONCERTO ITALIANO (ABBIATI PRIZE 2002), Jommelli’s L’isola disabitata at the Rome’s Opera, Il combattimento di Tancredi e Clorinda recorded by Opus 111, awarded with “Choc de l’annee 1999” performed in Paris, Bordeaux, Montpellier, Bruxelles, Madrid, Copenhagen, Köln, Oslo, Tokio, Kyoto, Singapore, at the Colon in Buenos Aires and in S. Paulo do Brasil). In Italy he has performed at the Maggio Musicale Fiorentino, at S. Cecilia’s National Academy in Rome, at the Fenice Theatre and Biennale of Venice, at the Regio Theatre of Tourin, at Massimo Theatre in Palermo, at the Filarmonico Theatre in Verona, with the RAI National Orchestra, with the Verdi Orchestra and the Pomeriggi Musicali’s one in Milan, as well as the Toscanini Orchestra, the Orchestra Regionale Toscana and l’Orchestra di Rome e del Lazio. Abroad he has performed in Monte Carlo, Lyon, Niece, Lisbon, Barcelona, Madrid, Bilbao, Vienna, Manchester (BBC Philharmonic), Bruxelles, Budapest, New York, Washington, Toronto, Mexico City, Istanbul, Taipei, Hong Kong, etc. ).